The recent downturn started in mid-November, when bitcoin first abruptly fell below $6,000. Since then, the world's largest cryptocurrency continues to find new lows and has struggled to break out of the $4,000 range. The November losses are a notable reversal from bitcoin's surprisingly stable October. 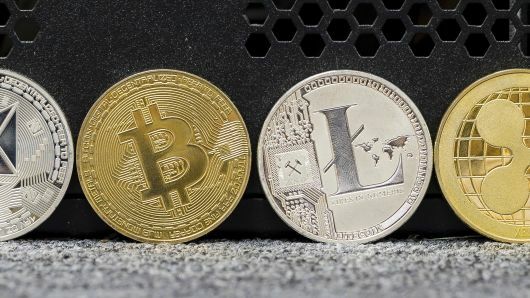 The cryptocurrency had been trading comfortably in the $6,400 range after a volatile year, while major U.S. stock markets fluctuated. The weekend losses bring bitcoin's year-to-date drop to more than 75 percent. Major cryptocurrencies XRP and Ether were down as much as 12 and 9 percent respectively, according to data from CoinMarketCap.com. These lower lows are marking key exit points for some traders. Bitcoin going below $4,000 likely triggered "stop losses", predetermined trading levels that often exacerbate the selling. Those bitcoin support levels were broken as the cryptocurrency plunged to new lows.